A big rock in the middle of the ocean, exposed to oceanic currents and adverse weather, was the destination for our next travel adventure. 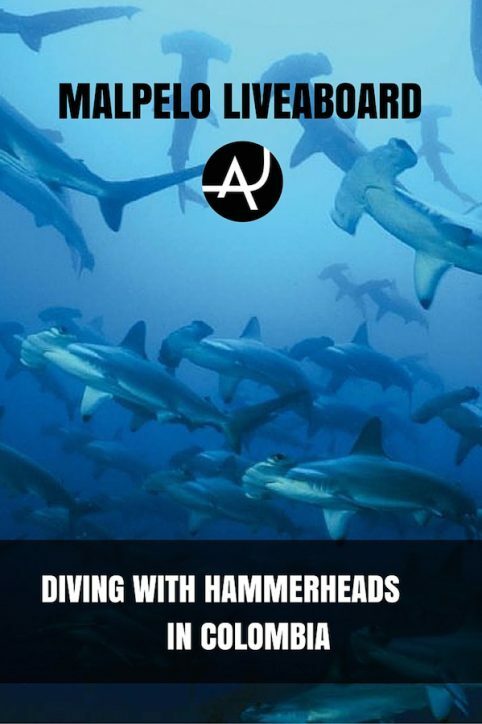 Diving with hammerhead sharks has been in our list for years and finally we were about to make the dream come true. A Malpelo liveaboard trip is the only way to get to this remote island and thanks to Coiba Dive Expeditions we were going to be on board the MV Yemayá for the next 10 days. The first sailors called the island Malpelo due to its bad shelter for boats. 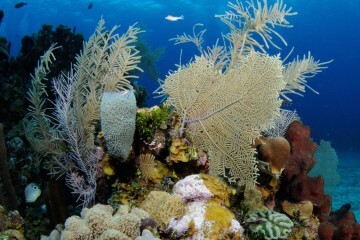 These days it’s one of the best spots in the world for scuba diving. The waters surrounding the island are full of life and swarms of hundreds of sharks can frequently been seen while diving here. 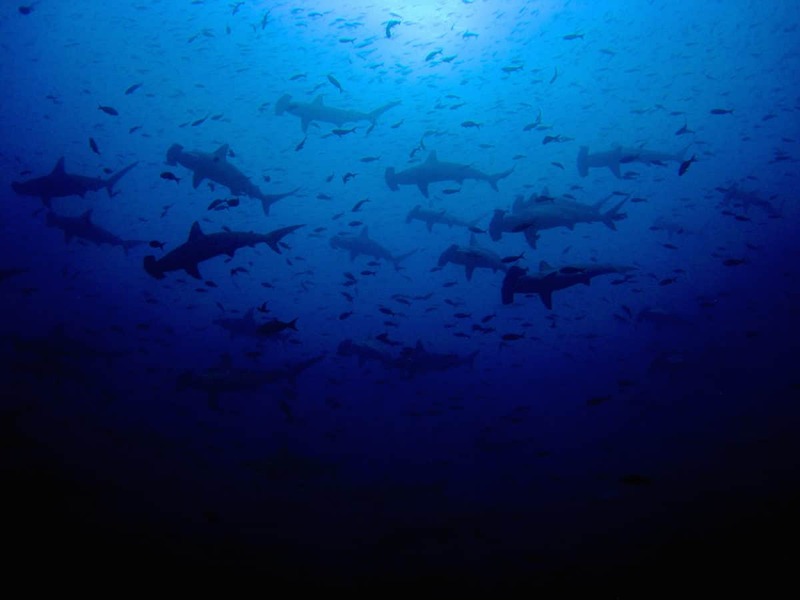 Among the diving community, Malpelo is also known as the “Shark Heaven”. Getting closer to this mighty rock, I didn’t know what to expect. Malpelo is world known for its great shark diving but, if there is something I’ve learnt over the years is that you need to be lucky to have memorable ocean encounters. We are not visiting a zoo here. This is nature and the animals are free to come and go. A spot that is activated with hundreds of sharks at some point, it might be completely deserted only a few hours later. Currents are also something to consider when signing up for a Malpelo liveaboard. Other liveaboard dive trips can be more relaxed, but Malpelo is a bit different. Diving here can be challenging. It’s definitely not a place for beginners. But the good news are that the stronger the current, the bigger the fish in that current. We did 40 dives in total and some of them were the best ones we’ve done to date. 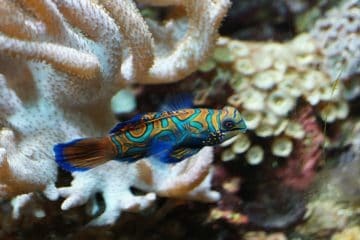 It’s a big fish destination so don’t expect nice coral walls or good macro-diving. The thrill of Malpelo is sharks. 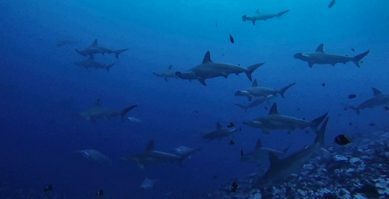 Big schools of hammerheads are frequently seen and rare is the dive where you don’t see at least a dozen of them. The dive sites as El Bajón, Sahara or La Nevera are almost a warranty that you will see some of them and, if you are lucky, you might see some of the large groups (100+). But the hammerheads are not the only sharks that can be spotted during a Malpelo liveaboard. 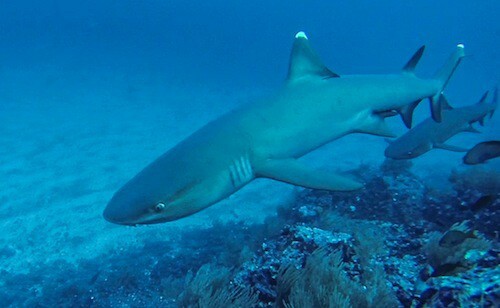 Huge Galapagos sharks, which can grow well over 3 meters long, can also be seen around the island. And these ones are much more curious and tend to get very close to the divers, which makes an encounter with one of these type very special. 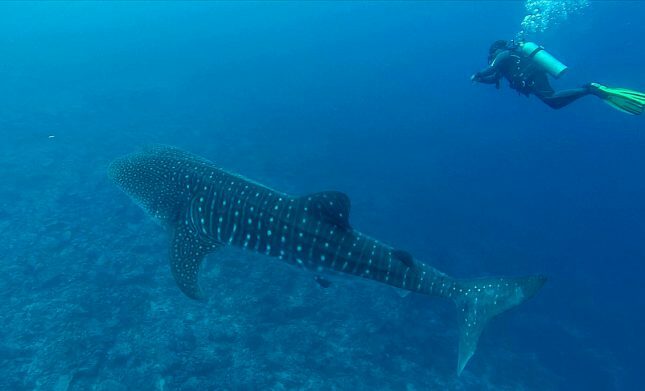 The biggest fish in the ocean, the magestic whale shark, is also a frequent visitor while scuba diving in Malpelo. Safety stops are normally performed drifting in the blue making this a prime time to spot these giant creatures. Apart from sharks you also have good chances to spot massive schools of snapper, barracuda, tuna and bonito. If you are very lucky, during certain times of the year “baitballs” might be formed. As it happens off the coast of South Africa, huge schools of sardines come close to shore where tons of other fish try to enjoy the feast the way they can. Silky & Galapagos sharks are the kings of the party here, together with large specimens of tuna. A truly spectacular phenomenon of nature that can be seen in very few places on Earth and Malpelo island is one of them. Lots of hammerhead sharks. Schools of hundreds can be seen regularly. Huge schools of pelagics like mullet snapper, bonito, jacks, barracuda and tuna patrol the waters around the island. 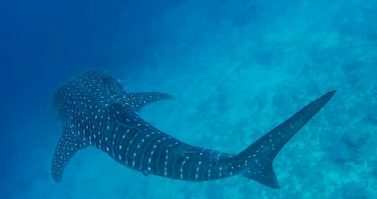 Whale sharks. The biggest fish in the ocean can also be seen in Malpelo. Currents can be very strong. Malpelo is for advanced divers only. In theory the best time for diving is between April and September, but Malpelo is very unpredictable so you can have great diving any time of the year. January-February is when the conditions are the toughest, the currents are strong and you can have rough seas also this is when the water is at it’s coldest (around 20°C). 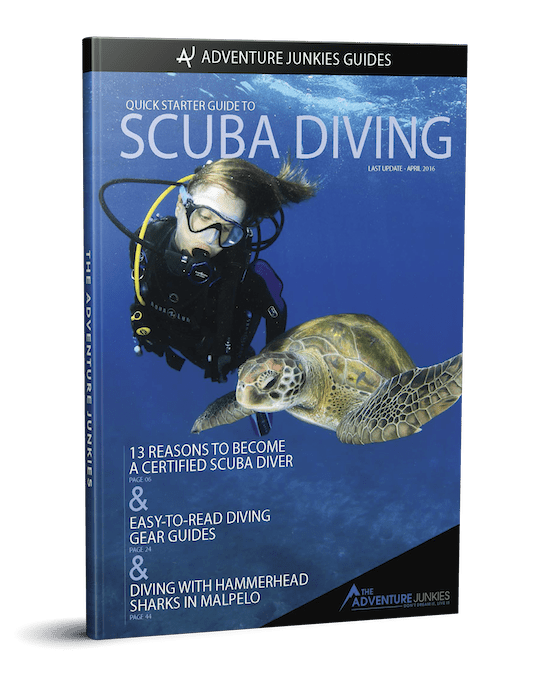 You need about a week of diving to experience what the island has to offer. Malpelo is over 500km from the coast of Colombia, making it only accessible to tourists by liveaboard trips. There are different companies departing from either Panama (Puerto Mutis, David or Panama City) or Colombia (Buenaventura). 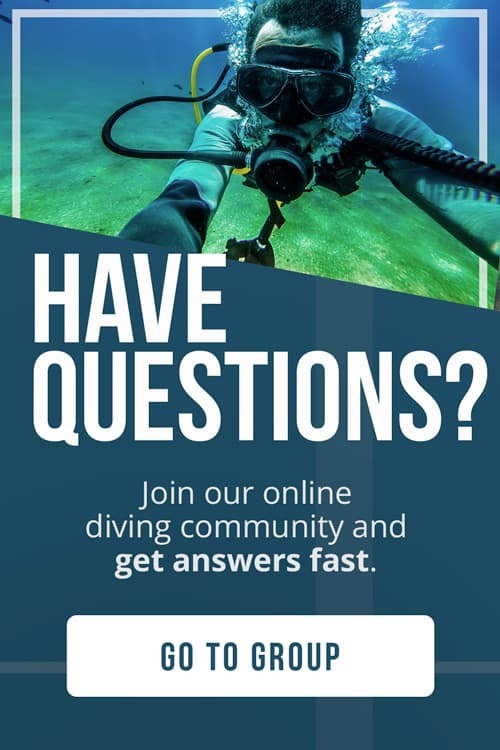 Get Nitrox certified before you go and bring your own diving gear. On most of the dives you go to 30 meters and wait for the sharks to appear. With air, you won’t have much time (5-8 minutes) until you hit deco. 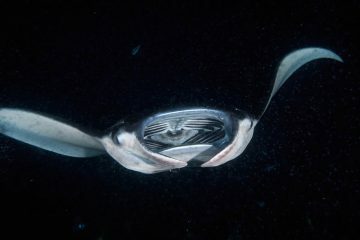 It’s a long way sailing from mainland Panama (36 hours +) and the cost of a Malpelo liveaboard trip is well over $3,000 USD, but this quality of diving is only possible at very few places in the world. Every dollar is worth the investment. Your memories about Malpelo will last for years. Without any doubt we can say the diving in Malpelo is the best we’ve ever experienced. It’s also a very specific diving, it’s all about big fish, particularly hammerhead sharks. And there is no feeding here so you can observe the sharks in their natural state. 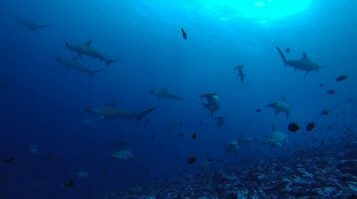 If you would like to see big sharks in their natural environment and in big numbers, you should plan a trip to Malpelo.